December 9, 2018 3:00 – 4:00 p.m.
Hudson Valley MOCA is excited to present Inebriation in Western Art , the first of a three-part lecture series led by artist and art historian Marcy B. Freedman. Over the course of one hour, Freedman will expound on the symbolism, meaning, and tradition of alcohol consumption as depicted within the history of Western Art, connecting examples from Ancient Egypt through to the present. Take a journey amongst raucous celebrations within 19th century French bars and Renaissance bacchanalias, the exhausted malaise of Degas’ Absinthe Drinker and Nan Goldin’s photographs of New York City nightlife. By the end of this dynamic lecture, each visitor will be sure to look at their wine glass through the rich lens of history. With a focus on subjects that have been categorized as both deviant and divine, Freedman’s lectures carry an edge that you won’t find in your traditional Art History lecture. 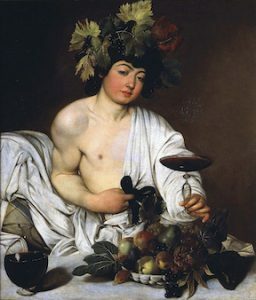 Close examinations of alcohol, dance, and bodily fluids in the context of art illustrate the intrinsic connections between the depiction of these acts and the politics and cultural values of the time. By focusing on everyday human experiences, it becomes easy to relate to these depicted cultures in spite of their different time and geographies. Marcy B. Freedman is an artist and art historian who lives and works in Westchester County, NY. She received her Bachelor’s degree from the University of California at Berkeley, and holds a Masters in Renaissance Studies from the University of Michigan and a Masters in Modern Art from Princeton University. Hudson Valley MOCA , located in Peekskill New York, is a nonprofit art and education center founded in 2004 by art collectors Marc and Livia Straus. Our mission is to promote the understanding and enjoyment of international contemporary art through the presentation of challenging exhibitions and programs that spark dialogue, enrich lives, and promote mutual respect across geographic and cultural borders. Public Information: Hudson Valley MOCA, 1701 Main Street, PO Box 209, Peekskill, NY 10566, (914) 788-0100, hudsonvalleymoca.org. Hours, beginning October 13: Friday, 11:00 a.m.-5:00 p.m.; Saturday & Sunday, 12:00-6:00 p.m. Museum Admission: $10 adults; $5 Peekskill residents, seniors, students, children over 8; free for members and children 8 and under. This entry was posted in Press Releases and tagged #arthistory, art. Bookmark the permalink.